The city of Florence is, arguably, the jewel of the Renaissance, a period in Italian history full of riches and prolific in the creation of the arts. And it is fair say the Medici family, rulers of Tuscany for almost 300 years, helped shape the city like no other. This once politically powerful and wealthy family, who established one of the first banks in the world in 1397, brought their brash passion for art and beauty to Florence creating some of the most magnificent buildings and commissioning the greatest works of art playing a fundamental role in the cultural, artistic, scientific, and spiritual contributions of Florence. But who are the Medici? How did they come to be such an iconic family in Florence and where are they now? 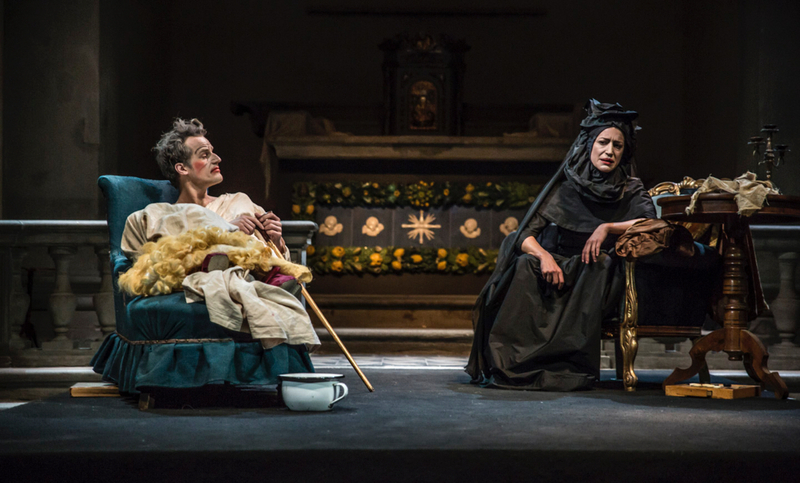 Florence’s new play, Medici Dynasty, has the answers. 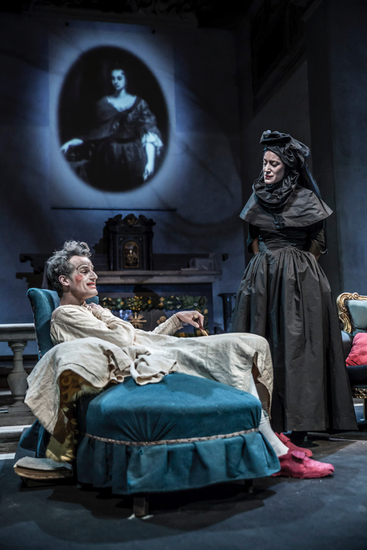 The brainchild of Giuseppe Arone, Medici Dynasty is a history lesson in an action packed hour detailing the birth of the family riches to the Medici’s rise in politics, the church and commissioning great art by the likes of Michelangelo, Botticelli and Da Vinci. 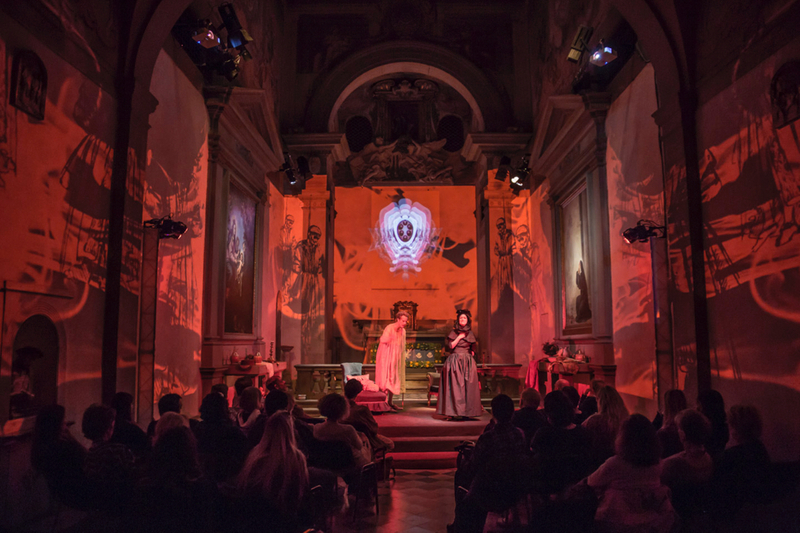 Told through the eyes of the last reigning Medici, Gian Gastone and his sister, Anna Maria Luisa, it is a fast, smart and entertaining theatre production in the atmospheric 14th century San Giovannino degli Scolopi library just meters from the original Medici palace in San Lorenzo. 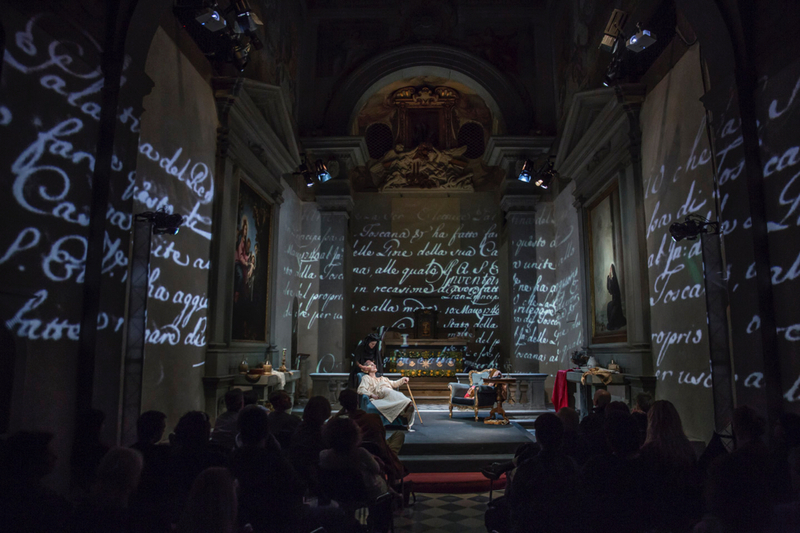 The play takes place on 24 June 1737 when Gian Gastone, in his last weeks of life, is bedridden in the grounds of Palazzo Pitti. 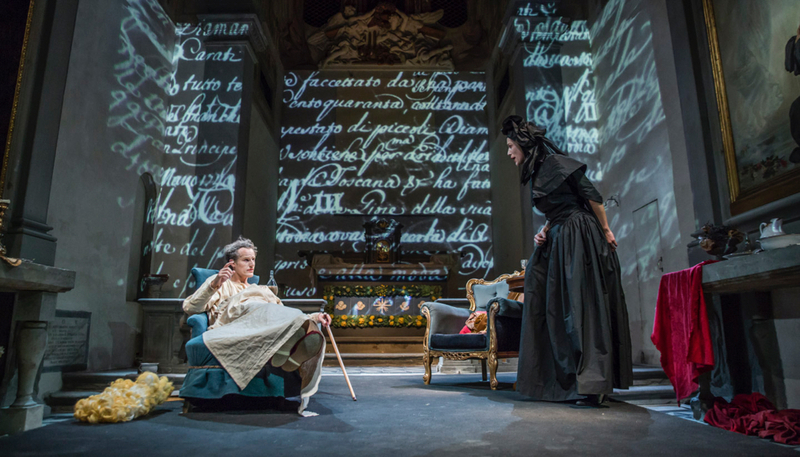 His estranged sister, Anna Maria Luisa, sneaks her way into the Palace via a secret underground tunnel on urgent business: the Medici family dynasty is soon to end after almost three centuries and their legacy, plus precious works of art, must be saved from being sold off or leaving their beloved Florence. Through dialogue reminiscing over the family’s accomplishments of the past centuries, we learn of the impact and influence the Medici had on the city of Florence and beyond; they even take some credit for the discovery of the Americas! During this meeting, the siblings create the family pact ensuring all works of art including “paintings, statues, libraries, jewelry, and other precious items such as sacred relics and reliquaries…never to be transported or removed from the Capital, and the Grand Duke’s State.” And thus keeping these valuable art works in Florence, making it one of the most travelled to destinations in the world today. 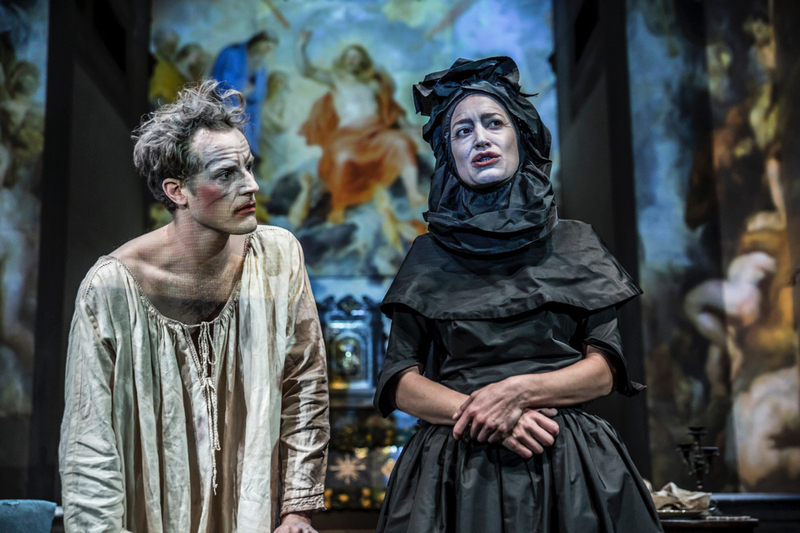 For lovers of history, art, power and politics, Medici Dynasty is a play to entertain and engage with a sharp script and witty performances from the talents of Carolina Gamini, Riccardo Bono and Tim Daish, a show in Florence not to miss; the perfect early evening entertainment before dinner al fresco or in a cozy trattoria. And an entertaining way to understand the power and politics which have shaped Florence as it is today.